The Visible Dork Forty: Random Hilarity – Dork Forty! 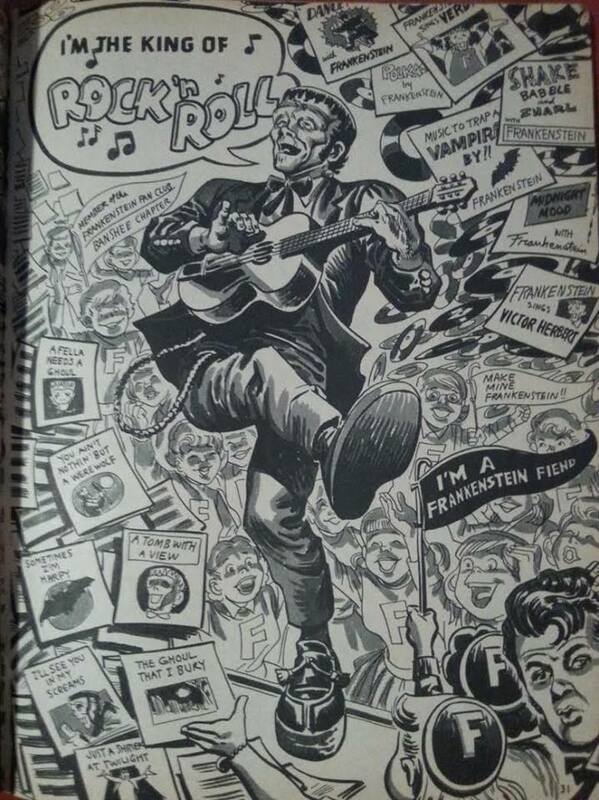 So my usual pattern here on the Dork Forty is to ramble on endlessly about some funnybook or another. But I like pretty pictures, too. I collect dozens of the things, more than I could ever find time to write about. Some of those go up on our Facebook page (JOIN…US…), while others just go in a folder for some future date when I don’t feel like talking. But lord knows THAT doesn’t happen very often, so they tend to pile up. It’s time, then, to clean house. So this week, I’ll be tossing up a bunch of pictures without homes, for your edification and amusement. 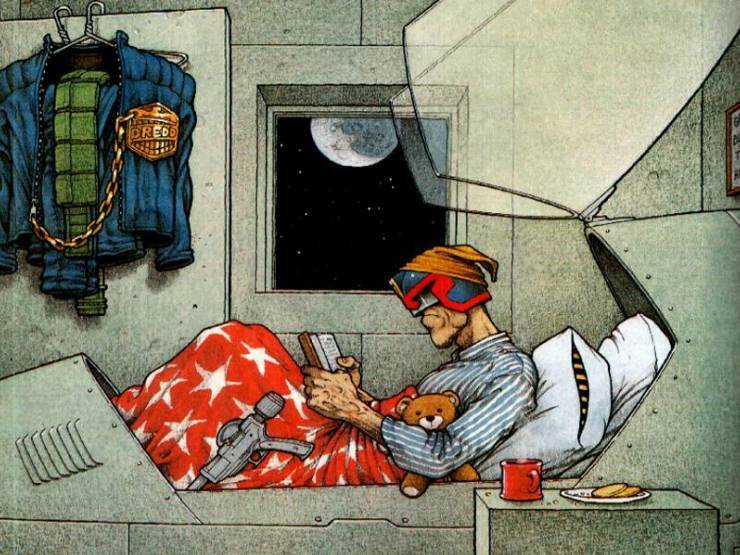 I have no idea where this came from, or who the artist is. 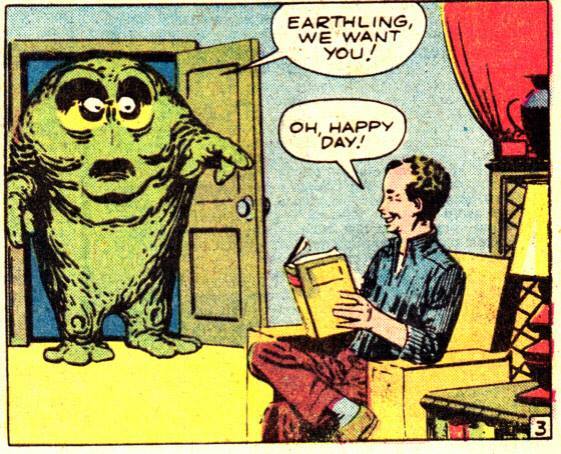 I’m assuming someone altered the Jack Kirby original, but I really don’t know. 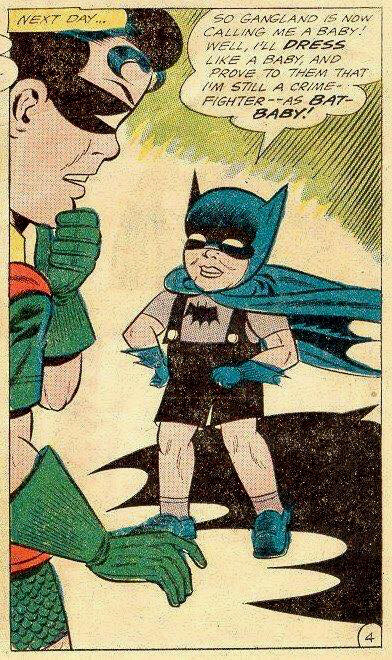 Amazing the things you run across on the interwebs. But, hey! 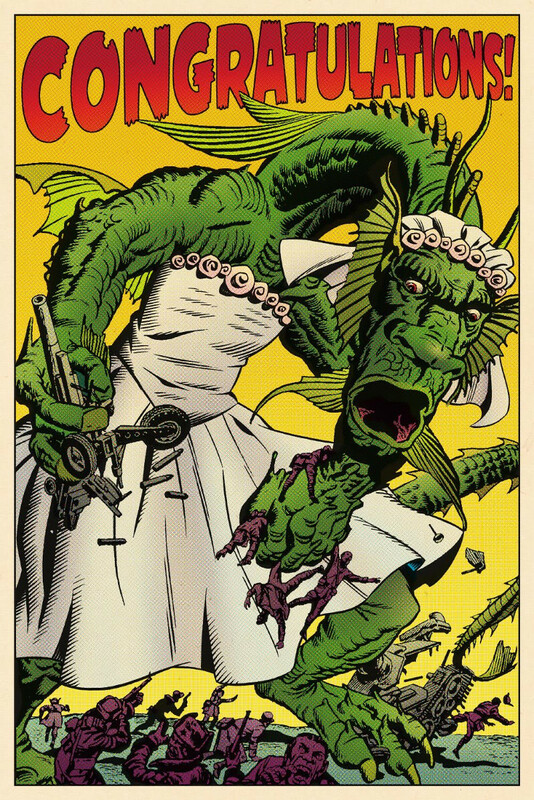 I just used the words “crazy” and “Jack Kirby” in the same breath! 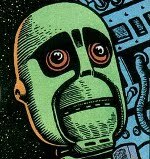 Which sounds like a good cue for a picture of Arnim Zola! 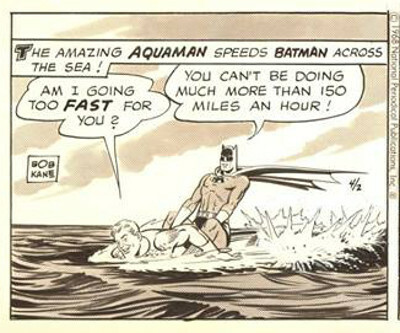 Always loved that guy. Out of all the insane characters Kirby came up with over his long career, Zola kind of takes the cake. He put his face in his chest and replaced his head with a box… just ’cause he could! It shouldn’t work. It should just seem random and weird. But somehow, Kirby pulls it off. I mean, don’t get me wrong. 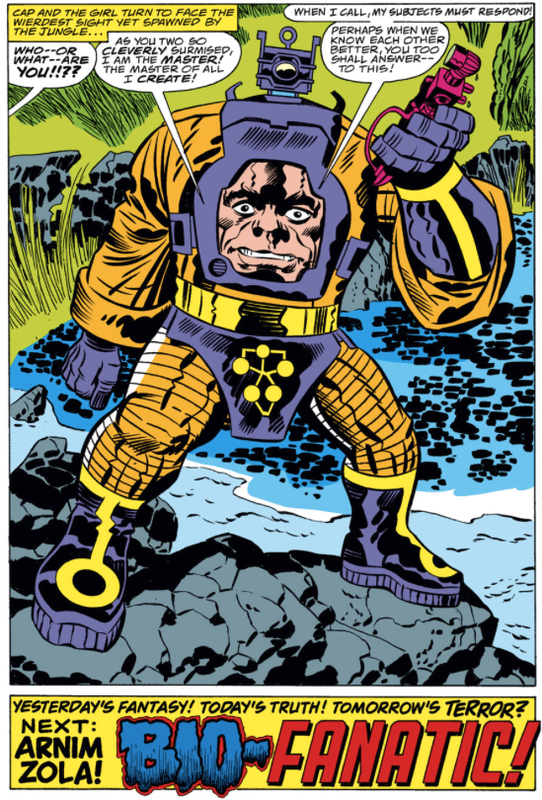 Arnim Zola is nothing if not random and weird. But he’s random and weird in a way that’s compelling. Somehow. Don’t ask me to explain it. Sometimes, with Kirby, it’s best just to go with your gut. 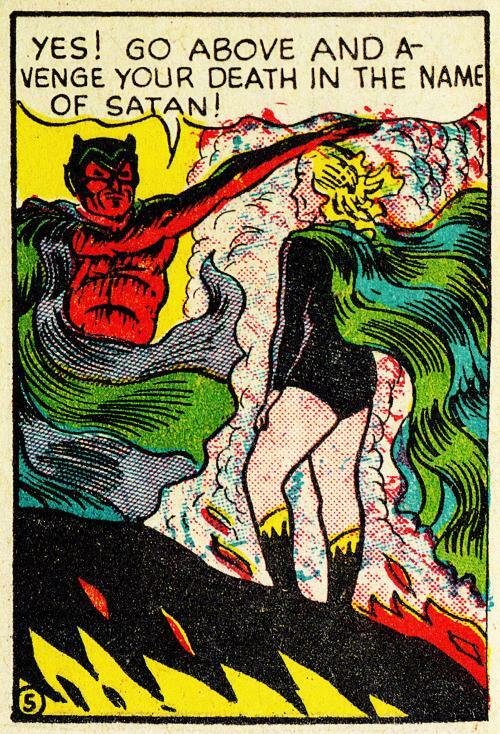 That’s right: the original Black Widow was a super hero whose powers came from Satan himself! It’s one of those mind-bogglingly strange concepts that cropped up sometimes in the Golden Age: Claire is murdered and goes to Hell. But the Devil sends her back to Earth to kill bad guys and fill Hell up with more evil souls. So she’s doing good… depending on your politics… in the service of evil! That a pretty juicy set-up, and one that seems ripe for a modern updating. Which, yes, she did get in Michael J Straczynski and Chris Weston’s The Twelve. 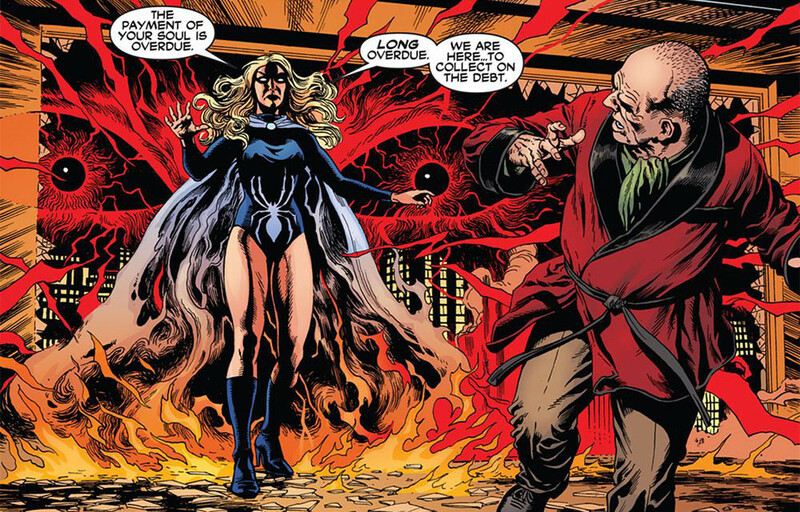 But Straczynski gave her a lot more remorse than she exhibited in the Golden Age, and I’d kind of like to see that whole “Hero from Hell” thing explored in a slightly different manner. But this column’s supposed to be whacky. So let’s reframe the conversation, shall we? 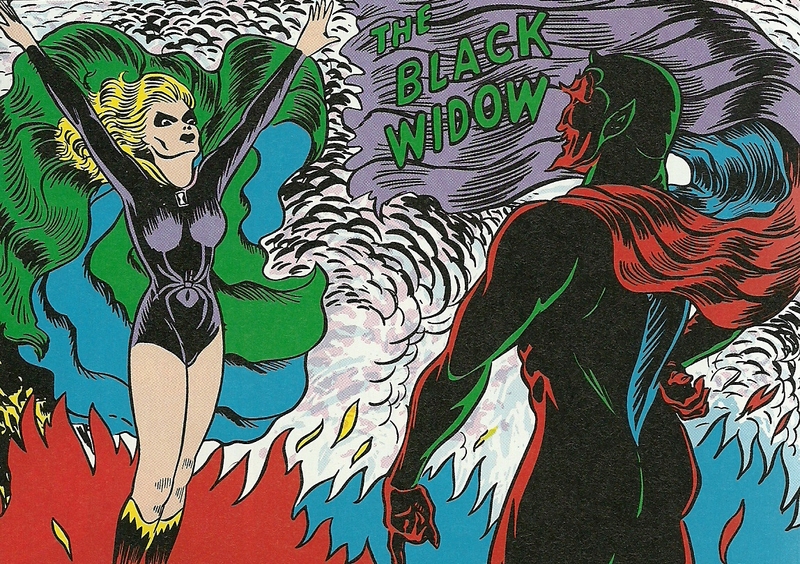 The Black Widow was originally a super hero who did the work of Satan. In the 1940s. In a comic book. You know. For the kids. Alright. That’s it for tonight. But this was fun, and I’ve got tons more random pictures to share. So look for us to come back later in the week, as I try to find some kind of theme for another batch of completely unconnected pictures in… The Visible Dork Forty.